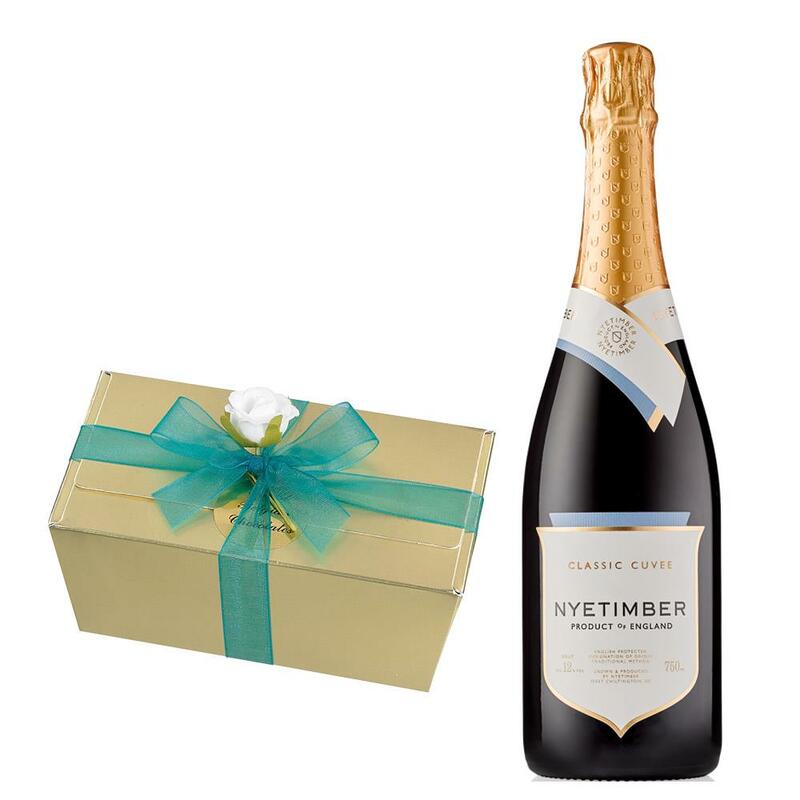 Nyetimber Classic Cuvee English Sparkling Wine 75cl with An indulgent assortment of Belgian Chocolates (460g), filled with a selection of the finest milk, white and dark chocolates, all hand finished using the finest ingredients. Lovely pale gold and gentle, fine bubbles. Toasty, spicy and complex aromas showing wonderful development after more than three years on lees in our cellar. The palate supports these complex aromas with honey, almond, pastry and baked apple flavours. Very fine and elegant with a great combination of intensity, delicacy and length. This product is hand packed onsite by Champers Direct, and is not affiliated with any other brand. Champers Direct is responsible for this product combination/set.